What Do You Think of Marc Forster Directing Stanley Kubrick’s Civil War Script? A few years back, Steven Spielberg announced that he would be adapting Stanley Kubrick’s legendarily unproduced screenplay about Napoleon into a miniseries. Since then, we haven’t heard any developments but now another Kubrick script may see the light of day: The Downslope, a project the director wrote in 1956 back when The Killing was released. Set during the Civil War, the film follows several battles in Shenandoah Valley between Union General George Custer and Confederate Colonel John Mosby, an epic perhaps in between the lines of Barry Lyndon or Paths of Glory. 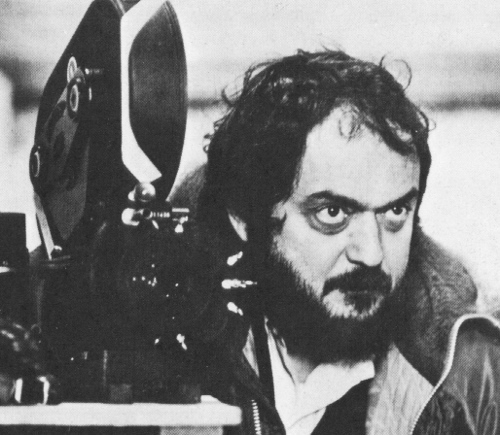 It’s no secret that Kubrick’s my favorite director, and while I’d love to see The Downslope see the light of day (alongside The Aryan Papers), director Marc Forster is set to direct the screenplay, divided into three for a trilogy of films. Forster’s main credits include doing that James Bond movie no one liked and World War Z, which despite its surprising box office success was one of the most heavily ridiculed films of 2013. While he’s not a terrible director, Forster doesn’t have the background or sublety to take on the satirical biting edge that defines Kubrick’s work, making the entire project seem misplaced. The Downslope seems to be more suited for a Kubrick prodigy such as Paul Thomas Anderson, but under the hands of Forster may just implode on itself. But who knows? A. I.: Artificial Intelligence is a misjudged masterpiece in my eyes, and The Downslope may end up being as good as that. On the downside, it could be as messy as 2010 or perhaps just be discarded. But what do you guys think? I think it should stay in the vault unless PTA decides to tackle it. But then I think, why? So PTA can make a Kubrick film? Shouldn’t Anderson put his personal stamp on it, then people will criticize it for being a bastardization of what Kubrick would have done. No one can make a Kubrick film but the genius himself. By the Way, I love A. I., except the 20 minute postscript where the aliens come and melt him out of the helicopter. There’s always going to be the question of what if Kubrick actually directed it. I can think of plenty of directors with Kubrick’s skill of surrealism and wit, like Leos Carax or Peter Strickland, yet I’ll always think of what the possible Kubrick adaptation would be like. I’m not sure, it could be interesting or fall flat. Who knows? It could go either way. I’ve only seen two of Marc Forster’s works so I guess I’m not sure yet if he’s a good director or not. I don’t know if he’s the right person for the job to be honest. I wouldn’t label Forster as a terrible filmmaker but he’s not a particularly adept one either. It would be like if a house-painter was working on the Mona Lisa. This is the first I’m hearing about this, but I don’t think Marc Forster is suited at all for something like this. But at the same time I’m not of the thinking that it’s a futile effort for anyone other than Kubrick to even try. PTA would be interesting indeed. I would agree with you on both points. I wish that Kubrick’s script would be published online instead of making a film adaptation.